After spending like 4hrs trying to find out why a dynamic property was not being loaded properly on a webpage, I finally stumbled upon a website with such an easy solution. Basically we had a custom dynamic property which was supposed to output some data but EPiServer was not rendering the control properly. EPiServer was not rendering the control properly but was just outputting the string. The fix is really easy. All I had to do was change the way the dynamic content is being output in code. Note that this is the way to render dynamic content in EPiServer but there’s a way you can force the literal output as well to work. Going to the gym after 10 years!!! Honestly, you shouldn’t wait that long but for me it must have been more than 10 years since I last did any kind of exercise. I was quite active before but since I’ve come to the UK, the cold weather has made me a couch potato and it doesn’t help that I work in an office and sit all day long staring at the computer. Anyway, I thought a decade was quite a long time and something needed to be done. I’m not getting any younger and I’ve started to feel my body is not as flexible and strong as before. So I signed up for a gym membership with Fitness First (1 month just in case, lol). Since it was a short term contract, it’s £62 but if you go for 4 months contract then it’s £52 and your yearly membership, it’s £42. I’d rather pay a bit more expensive but have the option to cancel within 30 days as I’m still not sure of my commitment as I’ve got loads of things going on as well. And on my first day in the gym, the personal trainer was talking to me about posture and correct way to do things which was all good up until he asked me to do 10 press ups. I could hardly manage 4! I still did 10 though but they were not press ups, after 5 they were more like trying to get your body up any way you can using your hand, lol. We did some bench press as well with little weights, well he thought they were little but I thought he was trying to kill me, haha. Yes, I know, my body is used to laziness and intermittent smoking hasn’t done me any favours too. We got through some rowing, arm curl for bicep and tricep and finished with lunges. I thought he said lunch btw. By the end of the session (about 1hr) which to me felt like an eternity, my arms and legs were aching. I was glad I survived and I’m sure I’m going to build up the resistance if I persist. I must admit, I always thought I was a handsome guy until I saw myself in a gym mirror which made me looked too skinny. But then again handsomeness is to do with the face, right? Now I need to plan my diet better because training without proper nutrition is stupid. However I’m planning to become vegetarian as well, so I’m not sure how that’s going to work out. So I’ve recently joined this company and they use EPiServer as a base and build custom functionality on top of that. Therefore I was required to learn how the CMS works in order to fulfill my role as a .NET Web Developer. The very first thing I needed to do was to get a dev version on my local machine. On Episerver’s website, I downloaded the version we used most in the company (EPiServer CMS 6 R2) and then I launched the installation process. The setup did not go smoothly as it got aborted because it could not create the database. My Windows credentials were not given the right permission on MS SQL Express 2012 (blame the System Administrator!). Anyway, once that got sorted, I installed the Alloy Tech sample website from EPiServer Deployment Centre. However that was just a blank project with just core files, contrary to what I was expected to see. The thing is I was following a tutorial from a blog and it had screenshots of what the website was supposed to look like but the end result for me was completely different. Later I found out the blog was outdated. Next it was time getting used to Page Types, something that the CMS uses a lot. Once you get an understanding of that, everything else starts to make more sense. 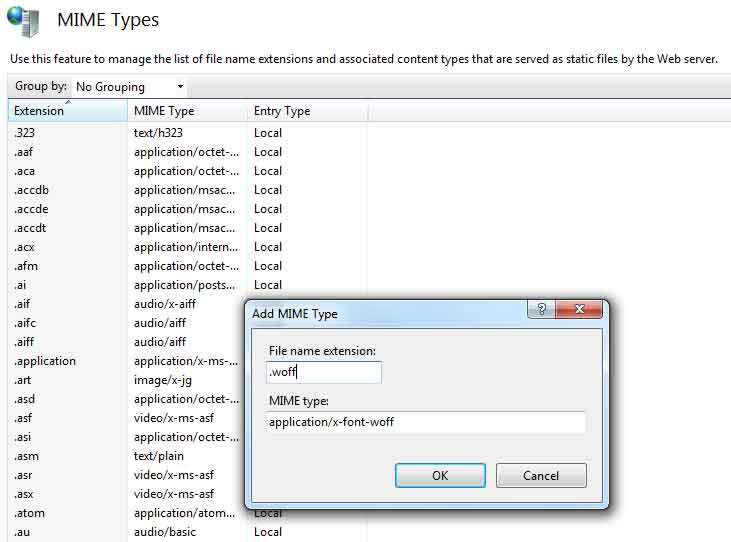 Then comes the querying of the CMS, for example, search for a a list of specific page type starting from the homepage. You can achieve this by creating a criteria query or using PageTypeBuilder (PTB), the latter being more strongly typed. Note that PTB is an open source project which needs to be imported in the project before you can use its awesomeness. I actively monitor the SERPs on Google.mu for a lot of keywords and I can tell you that people in Mauritius do not invest in SEO at all. Many websites which occupy the top positions rank purely because of lack of competition. I can confidently say that search engine optimisation in Mauritius is non-existant except for a few people who are in the website creation business (I can count them on my hand btw). It is to be noted that an awful lot of businesses do not have a website in this day and age and they couldn’t care any less. You will sometimes be amazed by those who have an online presence because their websites are just not worth the effort. 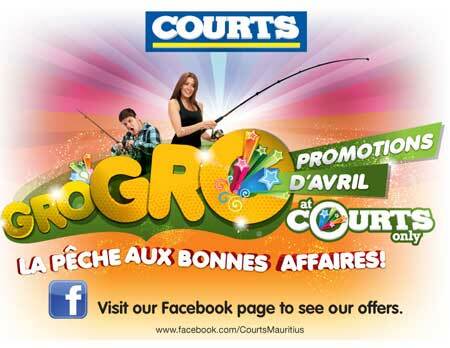 Take for example a popular furniture and electrical giant like Courts which have a single page website with an image flyer that links to their Facebook page. Customers want to see what products you have and what the prices are, not being forced to visit your fan page to see e-catalogues of your products. What, are you still in the 1990s era? There’s this driving school which has a website (maybe the only one in this business actually) and although it has some useful webpages with great information, the title of all its webpages is just the name of the driving school itself. Anyone in the search engine optimisation business can tell you the title tag is the single most important bit you need to optimise. However this site ranks for a lot of associated keywords because Google is inferring its quality from the url of the webpage and the content it has as a substitution for not having enough relevant websites to display. What I’m trying to say is due to the lack of info on this subject in the Mauritian context, the website is ranking despite being unoptimised – same as the one eye man is king in the valley of the blind. We also have some individuals who think they know a lot of SEO and use black hat techniques to accomplish their goals. For example, there was this web design firm which managed to get a number 1 listing for a 2 keyword phrase I’m currently tracking but it was short lived because all the external backlinks came from blog comments on sites where there’s no moderation, which has led to the domains being listed as spam. Now you wouldn’t want to associate yourself with bad domains because you’d be considered a spammer too and that will definitely hurt your rankings. Anyway if you’re after rankings that last (or at least factors which have a strong impact on your rankings), you need to go white hat and invest more into branding. Doing business online is still very new in Mauritius and now is the time to crush your competitors and set yourself apart and gain that trust which will benefit you so much more in the future. And if you’re planning to do SEO, then do it right through ethical ways or don’t do it at all. To generate charts on the fly, you can leverage the MsChart feature of ASP.Net and it’s a free component which makes it even more cool. Everything was working fine on my development machine which has Windows 7 and using .net framework 4.0 and IIS 7.5. However when I uploaded the files to the production server, the chart was not rendering on the live website and it took me the whole day yesterday (12 hours straight on) to fix the problem. I’ve been on lots and lots of blogs, forums and other websites trying to find a solution to my problem but I had inadvertently created a bug myself. Since you need at least 2 data points to create a chart, I inserted a line of code which would see if there were at least 2 data points before creating the chart, otherwise to return null and that was my biggest mistake. Since many people have reported problems with their asp.net charts not showing up, I find myself obliged to share my experiencing in getting yours fixed. Which .net framework are you using? Remember on your dev machine, sometimes those assemblies are already in the GAC but not necessarily on your production servers. It is also worth mentioning the DataVisualization is located in the System.Web.DataVisualization dll (not the omission of UI in the namespace). In the web.config appSettings key, you might need to turn off privateImages because it is true by default and if the request is not authorised, the images won’t be displayed. // create and customize your data series. Instead of an ActionResult for the controller, I’m using a FileContentResult. You can also pass in an id which you can use to query your respository (database) for values to use as data points. In my example, I’m just hard coding the values. It’s been a really long and frustrating day for me but I’m glad I managed to fix my problem which had nothing to do with the problems other people have faced. Hopefully this post is going to help someone and save their time! 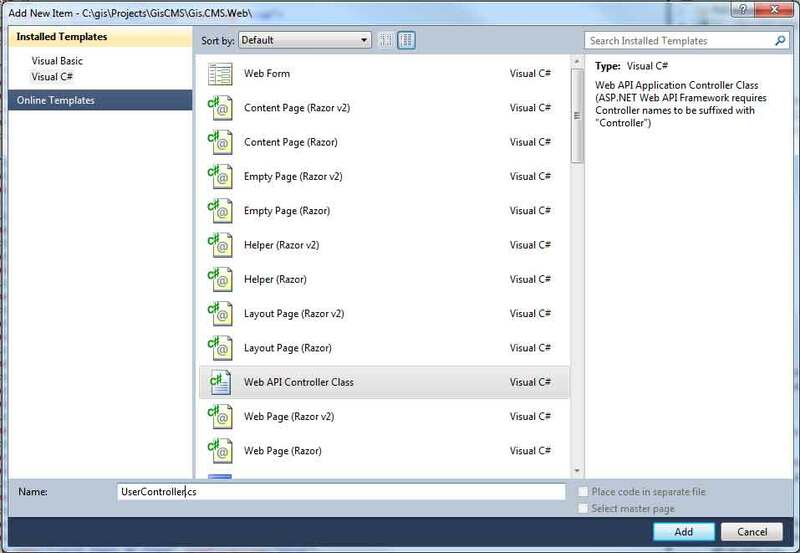 The latest version of the MVC framework comes with ASP.NET Web API support and that’s great. But if like me, you’ve got a web forms website where you want to leverage the capabilities of the Microsoft Web Api, then there are some manual things you need to do. The first question you need to ask yourself is why do you want the Web Api kit in the first place. For me, my main website runs on web form and it’s too much work at the moment to migrate it to MVC. Other new projects are being done in MVC and I need to way to communicate with the new website. For example, I’ve got a central database which stores user details and I need to get information on a particular user by querying the main website through a web service. You could very well get the same information by querying the database directly but what if you had business logic as well which filters data before it is displayed? For my problem, I needed to get the total points of a particular user by sending off the UserId. http://www.mydomain.com/api/user/5 where 5 is the UserId of the user I want to retrieve the points for. It was as simple as this and I couldn’t believe it. HttpResponseMessage response = client.GetAsync(String.Concat("user/", userId)).Result; // Blocking call! // Parse the response body. Blocking! After everything was tested, I uploaded the new asp.net website which contained my web api interface onto my Windows 2008 box and I was horrified when it threw an error. It was something to do with a missing dll. It happened because the DLL was not found in the GAC while on my local machine that was the case. There are many ways to solve the problem but for me the easier thing was to install the MVC 4 framework on the Windows server to rectify the problem. And that worked! I used to be highly involved in optimising Adsense on my sites but when Google Panda struck, that was the last thing on my mind. Before I was getting an increasing amount of visitors every month and there was a steady income coming in but since April 2011, things have changed. I’m not going into the details of this but a week ago, I decided I must find out what webpages were earning me the most on my sites. My Adsense account has always been linked to my Analytics account since that functionality was made available but for some reason, only my main domain was being reported in. I double checked my settings in both Adsense & Analytics and they were correct. So I was confused. The report showed only partial earnings and when I investigated, I found statistics for one sub domain was missing. Analytics is now displaying the proper stats for Adsense and I can now see which URLs are bringing in the more clicks and how much the clicks are worth. This will help me optimise these webpages fully and also give me the right insights to monetise other pages of my site.